The event supports Home For Our Troops, which builds and donates custom homes for post-9/11 veterans. Coming up over the next two months, Outlook readers will see several stories and advertising for the Mission Possible Gala, a first-time event put together by the East Metro Association of Realtors (EMAR). This event is the brainchild of EMAR member Stephanie Johnsen, who pulled together a team of professionals who are collaborating on planning an event that is sure to entertain, as well as inspire and provide financial support of a worthy cause. The event is a fundraiser for Home For Our Troops, which builds and donates specially adapted custom homes for disabled post-9/11 veterans, helping these soldiers rebuild their lives. The gala will feature customary live and silent auctions and other fundraisers, but it also will allow participants the chance to demonstrate their gratitude for the service of U.S. military veterans. Future Outlook stories and advertising will provide greater details on how to become involved with sponsorships, or how to support the live or silent auctions. You'll also hear more about tickets and table sponsorships. As with all first-time events, the organizers are making a big push to spread the word in the hope of filling 25 tables. The Outlook has joined the planning effort as a media partner, and we strongly encourage that you watch our newspaper, website and Facebook page in the coming weeks for more information on this event. And mostly we ask that you set aside the evening of March 23, and plan on attending this new gala event. The city of Gresham is a happening place, and it's nothing like what you might expect if you based your opinion on nonlocal media coverage. 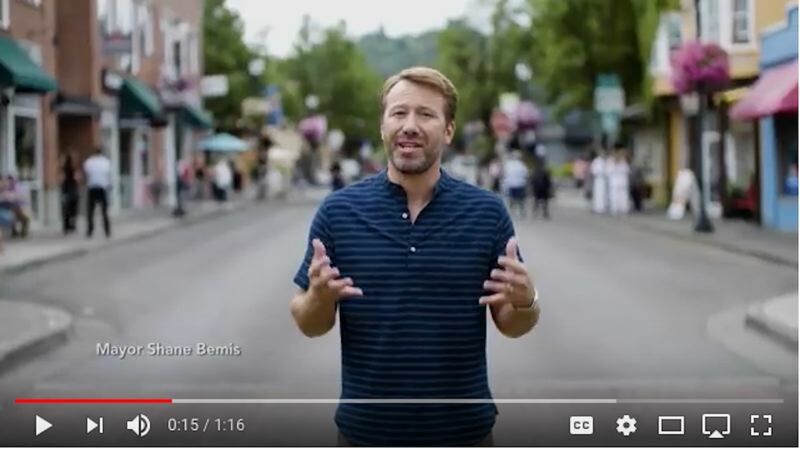 That's why Elizabeth Coffey, communications director for the city, made the request Friday, Feb. 2, that members of the Gresham Area Chamber of Commerce share a recently-released video showcasing the city at its best. The video is available on YouTube.com by searching "This is Gresham." Here's the link: www.youtube.com/watch?v=VAjeOPASutI. If you haven't seen the video, you should take a look. And if you like what you see, please consider sharing the video on your social media pages. The only thing we're worried about is the potential for noxious odors that may drift from the site of three buildings at Northwest Dunbar Avenue and Seventh Street in Troutdale. We're sure the Troutdale Planning Commission has taken this issue into consideration. But mostly, we hope that the operators of these businesses take voluntary measures to control the pungent odors that are a common byproduct of cannabis production. With Archery World and Rigert Elite Gymnastics in close proximity in the business park off Marine Drive, we hope the cannabis businesses do everything in their power to become courteous neighbors. Steve Brown is publisher of The Outlook, Sandy Post and Estacada News.